TV white spaces is a technology that enables the delivery of broadband using dynamic spectrum access. Unused spectrum on the frequency range – commonly used to deliver television channels – is used and known as TV white space or TVWS. Microsoft through its 4Afrika initiative has launched similar pilots across Africa including Kenya, South Africa, Namibia, Tanzania and Ghana. Project Kgolagano, which means ‘to be connected or networked’, will have a specific focus on providing access to specialised maternal medicine, which will improve the livelihoods of women located in small towns and rural areas. Telemedicine experts and doctors providing medical expertise for referred patients are being provided by BUP. The Project will be officially unveiled on March 2015, at Tsopeng clinic in Lobatse. It will initially run in three Phase One locations: Lobatse, Francistown and Maun, with additional locations being added in the coming months. The hospitals to be connected are: Athlone Hospital in Lobatse, Nyangabwe Hospital in Francistown, and Letsholathebe II Memorial Hospital in Maun. In addition, Tsopeng Clinic in Lobatse, Donga Clinic in Francistown and Moeti Clinic, Boseja Clinic, Maun Clinic, Sedie Clinic ad Maun General Clinic will also be connected. Microsoft provides support to communities in three ways: technology skills training, strengthening nongovernmental organizations through technology, and engaging our employees in their communities. With our thousands of partners around the world, we are committed to creating sustainable technology solutions that make a lasting difference in people’s lives. The mission of Microsoft is to help people and businesses throughout the world realize their full potential. This means mobilizing our resources across the company and around the world to create opportunities in the communities where we do business, and to fulfill our commitment to serving the public good through innovative technologies and partnerships. Our overall goal is to enable sustained social and economic opportunity for everyone, including those at the middle and bottom of the world’s economic pyramid. The Millennium Development Goals (MDGs) are an important influence on our strategy and activities because of our shared emphasis on global and local partnerships to change lives, and the clarity provided by the focus on real measures of human development within defined timeframes. Our efforts are also guided by our support for the United Nations (UN) Global Compact, which shapes both our business practices and corporate citizenship strategies. In the past decade, Microsoft has initiated or joined partnerships with a number of United Nations agencies and other multilateral organizations that have internationally-agreed development goals, including the MDGs at the core of their mission and goals. In 2007, Microsoft joined the MDG Call to Action, in which leading companies pledged to implement concrete initiatives that apply their core business, skills, and expertise in a transformative and scalable manner that will enhance growth and wealth creation to help meet the MDGs. In 2010, the United Nations held the MDG Summit in New York to review the progress that has been made in the past five years. Leading up to the meeting, Microsoft’s founder and Chairman, Bill Gates, served as a member of The MDG Advocacy Group created by UN Secretary-General Ban Ki-Moon to build further political will and mobilize global action to make the MDG Summit a turning point in our collective effort to achieve the Goals by the 2015 target date. In November 2010, the United Nations Foundation honored Microsoft with the inaugural Corporate Award for leadership in advancing UN causes, recognizing the work Microsoft is doing to help achieve the MDGs. By working with partners to create relevant training opportunities and innovative tools for people who are underserved by technology, we believe we can help foster social and economic opportunities that change people's lives and transform communities. As part of the Microsoft Unlimited Potential commitment, our employability and workforce development programs support organizations that work to ensure that individuals have the IT skills they need to succeed in the twenty-first–century workplace. Technology can be an amazing tool for advancing social and economic development-enabling people to get a better education, learn new skills to earn a living wage, or start a business. Technology can also enable organizations to meet community needs by broadening access to healthcare, education, microfinance, and other services. In the hands of nongovernmental organizations (NGOs), information technology can improve productivity, increase overall effectiveness through better collaboration, and extend services to new communities in need. Moreover, technology can be a powerful force that opens exciting opportunities for nonprofits to better achieve their missions and accelerate their impact. Microsoft is committed to helping NGOs unleash technology to advance social and economic development. Our strategy is built around ensuring NGO access to stable and more secure technology, optimizing the delivery of IT solutions, and helping them transform their operations through the innovative and appropriate use of technology. This approach enables us to offer a comprehensive set of services, products, and tools that are relevant to NGOs and their communities. At Microsoft, we are driven by our passion to make a difference in people's everyday lives. Supporting humanitarian relief and disaster management efforts is core to our commitment to develop technology solutions, tools, and practices that can foster social and economic change. Through partnerships with leading nongovernmental organizations (NGOs), international humanitarian organizations, and government organizations, Microsoft finds innovative ways to lend its expertise and familiar technology to help make communities more resilient in disaster prevention, preparedness, response, and recovery. 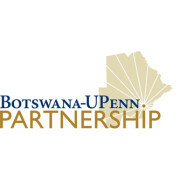 Botswana-UPenn Partnership is a collaboration between the Government of Botswana, the University of Botswana and the University of Pennsylvania(USA) which aims at building medical capacity in Botswana in response to the HIV/AIDS epidemic. BUP is taking a broad interdisciplinary approach to train health care personnel throughout Botswana in prevention and treatment of HIV/AIDS and its complications, to develop outstanding post-graduate training programs with the University of Botswana with an emphasis on Internal Medicine and its subspecialties, to offer experience in global health to Penn trainees, and to develop joint research programs that address issues relevant to the health and welfare of the citizens of Botswana. With primary funding from PEPFAR (President’s Emergency Plan for AIDS Relief), the BUP serves as technical advisors for four major clinical areas: HIV Care & Support, Adult & Pediatric TB, Cervical Cancer Screening in HIV Infected Women, and Telemedicine. BUP has several medical education initiatives directed at medical students and trainees in Botswana and at medical and other trainees at Penn. Since 2001, The BUP has trained over 4,000 Batswana healthcare workers in clinical care at Princess Marina Hospital, district hospitals, local clinics, and the University of Botswana. Train health care personnel throughout Botswana in prevention and treatment of HIV/AIDS and its complications, TB, Malnutrition, Cervical cancer, and more. Read our monthly clinical publication Tlaleletso written and distributed to health care personnel across Botswana. The BUP has many research initiatives focused on health issues surrounding infectious diseases in Botswana. Topics include HIV and co-infections, genomics, physiology, immunology, oncology, virology, transmission, and treatment adherence. The partnership’s research contributes to the general knowledge of best practices in health care provision in Botswana, and our research clinicians are involved in helping to develop the Botswana Ministry of Health's National Guidelines regarding HIV, TB, and Cervcial cancer care, and related illnesses. 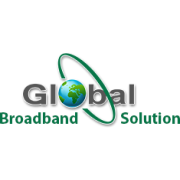 Global Broadband Solution (GBS) is integrated in a group of entities specialized in I.T. based in Africa, in North America and in Europe. They operate mainly in sub-Saharan Africa from their bases in Brussels and Kinshasa. In Kinshasa, the organization has a permanent team of highly qualified and experienced engineers and technicians. This team executes the VSAT installations, their activation and provides our customers with remote assistance. Brussels is our operational and logistic platform. Global Broadband Solution (GBS), located in Africa, is introducing in Africa the most powerful VSAT technology of the moment for high speed bi-directional Internet communications via satellite: iDirect. They use BT's Teleport facility at Martlesham to host their own VSAT iDirect hub and equipments providing internet services to Africa. Global Broadband Solution (GBS) is also working in partnership with Intelsat and Satlynx and their technical staff to install C-Band services everywhere in Africa. They are a ViperSat partner, offering a technologically advanced infrastructure products, providing bandwidth-efficient and scalable solutions. For strong urban concentrations, GBS is installing a Wireless Infrastructure Solution for Internet and Intranet. GBS operate with Alvarion world class products in the 3.5GHz, 5.8GHz frequency bands and have introduced the very latest technology called WiMAX. In order to provide African customers with reliable international telecommunications at a very low cost, GBS has developed a VoIP platform providing quality international phone calls in regions where remote Internet access sites will have been setup. 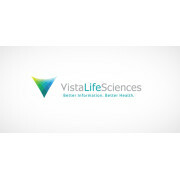 Vista LifeSciences provides innovative healthcare technology solutions for global healthcare challenges. Their products include longitudinal health assessments and records that are vital to improving healthcare outcomes and managing rising healthcare costs. These technologies are valuable for personal health management and community health in the U.S. and developing countries. Vista LifeSciences is creating sustainable solutions for our clients, often providing innovative product delivery to underserved populations. Vista LifeSciences is creating sustainable health information solutions for our clients, often providing innovative product delivery to underserved populations. Automated Neuropsychological Assessment Metrics (ANAM) is a proven tool designed to detect speed and accuracy of attention, memory and thinking ability. It records an individual’s performance through a series of responses to computer-based prompts. Electronic Medical Pathways (EMP) is an electronic record and clinical assessment system that supports healthcare delivery in communities, schools, and occasionally-connected, rugged environments. It can be tailored quickly to meet client-specific needs. Botswana Fibre Networks Ltd (BoFiNet) is a wholesale provider of national and international telecommunication infrastructure. BoFiNet’s mandate is to provide and operate a world class telecommunications backbone network infrastructure which will drive connectivity and economic growth. BoFiNet services retail organizations in the telecommunications industry such as licensed Public Telecommunications Operators, licensed Value Added Network Service Providers and International Communications Operators/Carriers. BoFiNet is owned by the Botswana Government. It was established in 2012 and will be partially privatized in due course. BoFiNet has been established as a commercial and self-sustainable business and strategy. BoFiNet operates, focuses upon and improves the backbone network and wholesale market. This is expected to improve competitiveness in the downstream telecommunications market and confidence from wholesale customers that BoFiNet acts in their interest as it is not a competitor. There is also a potential for alternative revenue generation for the Botswana Government through regional transit services and utilization of excess capacity on the International assets. As a wholesale provider of telecommunications distributing to retail telecommunication companies already in existence in Botswana, BoFiNet does not sell directly to end users. BoFiNet was established to improve fibre network wholesale offerings and services. In addition, the prohibitively high price of connectivity in the market, which limits take-up of services, played a role in the need for an organization such as BoFiNet. Moreover, the wholesale layer in Botswana is generally poorly serviced and the existing fibre infrastructure is under-utilized, failing to maximize the investment Government has made in the network. BoFiNet provides an average of at least 10–12 fibre pairs, allowing for maximum efficiency and capability, as compared to the single fibre pair and single wavelength on the Trans-Kalahari ring previously provisioned by BTC. BoFiNet has the capabilities to supply other regional countries including: South Africa, Namibia, Zimbabwe, and Zambia. 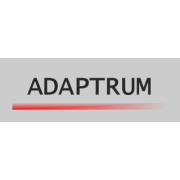 Adaptrum is a Silicon Valley based company developing wireless technologies to enable new, unlicensed and licensed, multi-use network infrastructure/services to meet the growing wireless broadband demand. Adaptrum was an active participant in the FCC TV Whitespace Device Testing in 2008 and was instrumental in helping pass the FCC TV Whitespace rules in November 2008 and September 2010. Earlier this year, Adaptrum became one of the first companies to demonstrate a fully functional TV Whitespace radio system that conforms to the FCC Whitespace emission rules while offering superior performance and flexibility over a wide tuning range in the spectrum below 1 GHz. ACRS 1.0 - ACRS 1.0 is the first generation Adaptrum TV White Space system covering spectrum bands from 400 MHz to 1 GHz. ACRS 1.0 is capable to operate in any spectrum bands below 1 GHz but is specifically designed to operate in the UHF TV Band (470 MHz – 698 MHz), as TV Band Devices compliant to the CFR 47 Part 15 Subpart H rules. ACRS 2.0 - ACRS 2.0 is the second generation Adaptrum TV White Space system targeted for volume production. It has enhanced performance and features compared to ACRS 1.0 with much higher level of integration and readiness for high volume production. Similar as ACRS 1.0, ACRS 2.0 operates in frequency range 400 MHz to 1 GHz and is designed to be compliant with the CFR 47 Part 15 Subpart H rules.